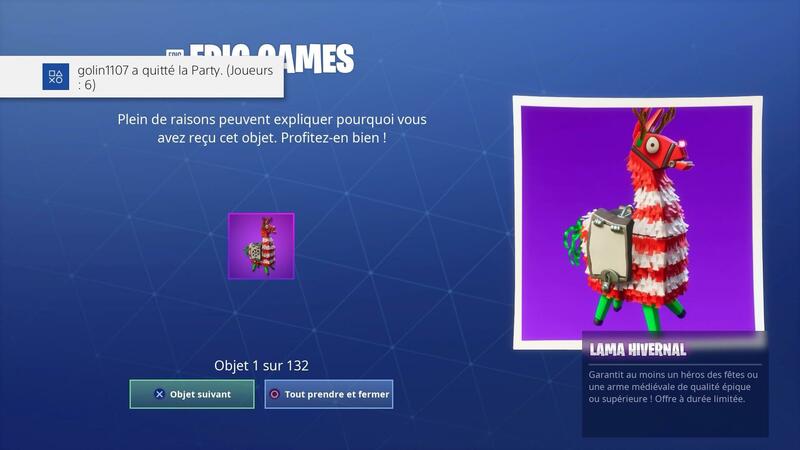 1 april gift 132 winter lama , i obtain the same last month when the spring évent arrived. Why did i win this a second Time but not the same lama ? They said that everyone who opened their previous holiday llamas and received vacuum tube weapons rather than the medieval ones would receive some sort of compensation for the mixup. It looks like they are reissuing the llamas, now with the correct loot. I got one winter llama today…how did this guy get 132? kinda unrelated… but does quitté mean “left”? as in the passe compose of “to leave” (quitter)? I just started learning french, and am just learning about the passé composé thingy.